IPG Mediabrands’ Initiative won the global media pitch for agency of record in 2013, beating out WPP’s Mindshare and other unnamed competitors. It's thought that pitch did not involve US digital buying duties, which stayed with WPP's MEC agency. It is unclear who is carrying out media buying duties in this market. AdNews understands Initiative and MEC do not have Amazon as a client. Industry sources have suggested Amazon could be striking direct buy deals with out of home vendors when promoting its Amazon Prime launch. 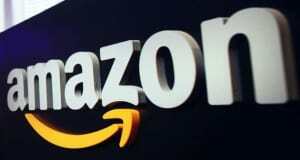 Amazon's activity in Australia is currently limited to web services and Amazon Prime Video, however the business is recruiting talent in this market to launch Amazon Music and is expected to bring its massive online marketplace to these shores within the next year or so. Retailers are already preparing for the Amazon disruption and several experts believe it could spark an increase in marketing activity across the sector. Amazon has launched a review of its US$1 billion global media buying business, according to AdWeek.